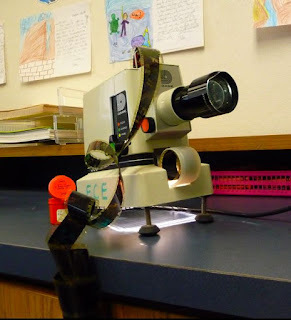 When I was growing up, seeing the filmstrip projector out, or seeing a box of filmstrips in colorful plastic cases was always a sign that it would be a good day at school. 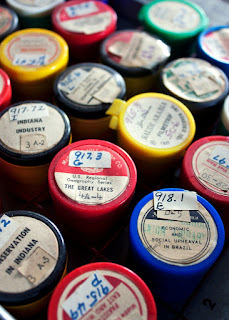 The filmstrips could be about history, science, or a book from English class ... but it always was a nice change of pace. Some also came with a record that played during the film. Do you remember filmstrips at school? What are some memories you have of them? I'd love to hear from you in the comments, below.